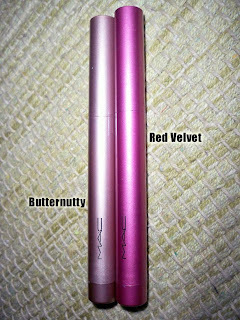 I'm finally getting my MAC sugarsweet haul up. I haven't done a haul vid/post in a while because I kind of fell off of the last MAC collections. My makeup collection and kit are in pretty good shape and as a result I don't haul like I used to. I'm trying to also save up for my move into the new apartment in April. I plan on getting a bunch of furniture for my makeup/photo room, I'm excited! Anywho, back to the post. 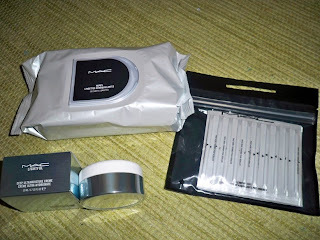 While I was at MAC, I finally picked up some refill items for my kit. 1) Big pack of MAC wipes - I love the way they smell, how they never get dried out, and I always give one to a client to wipe their face clean before I start makeup. 3) MAC lightful moisturizer - I was using studio moisture fix in my kit and ran out...I don't like how you couldn't tell when you're out of the moisturizer so I decided to try something new. 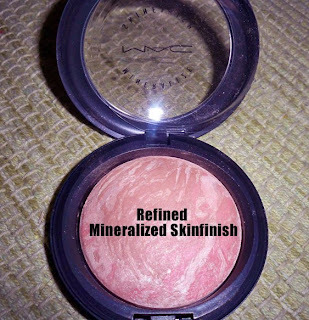 The MAC artist recommended this to me...very light and smells yummy! I'll test on myself before putting it in my kit...if it works on my sensitive skin it should work on everybody! On to the haul! 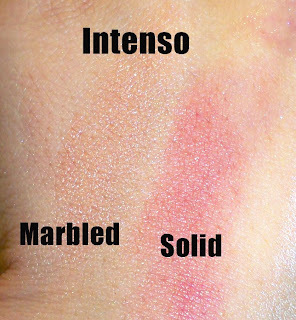 Check out my youtube video where you can see how the blush and MSF look on me too, as well as swatches IRL. 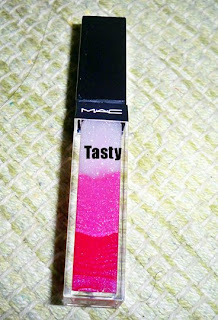 1) Tri Color Lipgloss in Tasty - I honestly got this because of the packaging. This was the most pigmented of them all but it's still sheer. All of them are sheer. 2) Shadesticks - I only picked up two, Butternutty and Red Velvelt. I felt like I would use these colors the most. 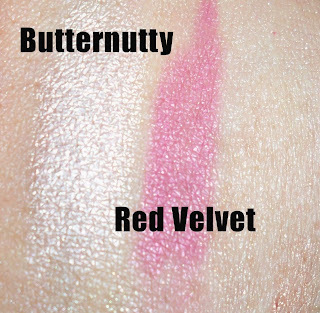 Red Velvet is a great brink pink to pair with pink eyeshadows that usually don't show up on me. Butternutty is a warm pinkish/cream shade that works great as a neutral base. The formula is much more creamy this time around and they stay on forever. If you have oily lids though, you might want to pair with UDPP. 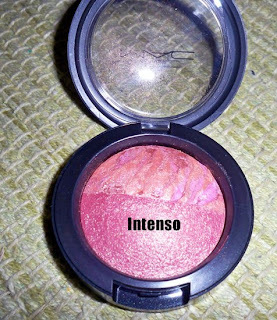 3) Grand Duo Blush in Intenso - While I was there I also picked up a blush from the Grand Duo collection. I just wanted one and this color called to me. Super pretty reddish/orange shades...perfect for a Bollywood look. 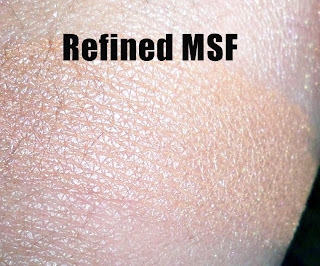 4) Mineralized Skinfinish in Refined - I'm obsessed with MSFs. I almost picked up both, but I knew the other one wouldn't show up on me. Even when I use this one it doesn't show up that pigmented...it helps to use a CCB underneath to make the colors pop a little more. That's all folks! Next week I plan on doing a Sugarsweet tutorial using my bestie who's an NW45. Stay tuned! I was wondering about the tri colored gloss if it did anything at all, but now that i see that it is sheer its just for packaging, sigh. i guess i can pick up the miliani one instead. thanks for the info babes! I'll snack on some jollibee in your honor! wipes, cleansing tips and lightful are all staples in my kit too! Hi there-what fabulous products my dear! Hope you are keeping well too! Butternutty looks so pretty...and I definitely want to try that moistuizer...currently using the other one you mentioned but not too impressed. Plus I'm a sucker for things that smell yummy! Thanks. I think I need some of those cleansing tips - great idea! Your swatches are amazing! Refined MSF is gorgeous! I even used it today and I love it! TOMORROW!!! fri the 27th gilt group is having a sample sale for SMASHBOX makeup! I was wondering how those tri-colored lip glosses would actually look like. i have to say i was disappointed with the collection. i was looking forward to the tri color l/g but they are really sheer. but the shadesticks are cool. everything turned out either really sheer or dupes. oh well. great haul..i think what you got was the best of the collection. I cant figure out how to use red velvet? How did you use it?? Any tips?